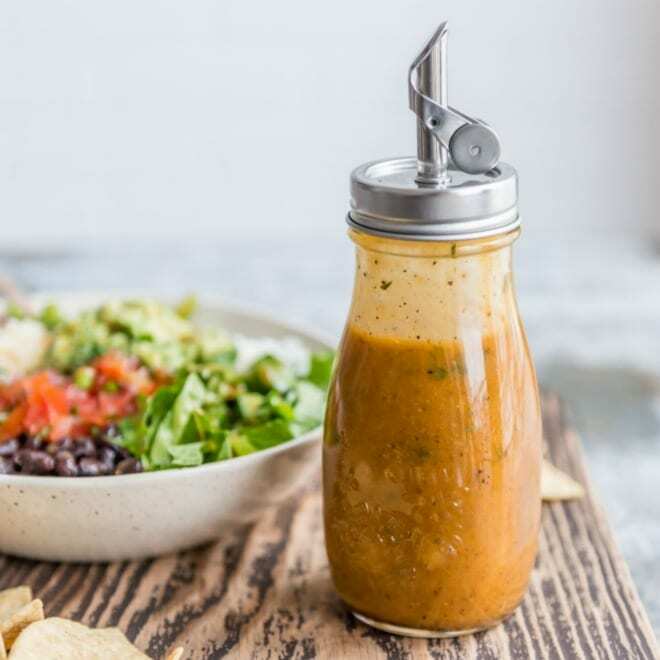 These copycat Chipotle Pinto Beans are easy to make, inexpensive, and healthy! Add to burritos and salads or serve with rice for a tasty vegetarian meal. Before Chipotle removed the pork from its pintos, this was an easy decision. Because bacon! But now there is no bacon and the beans are just is good, and life is full of tough choices. Start by sautéing some onions in oil. 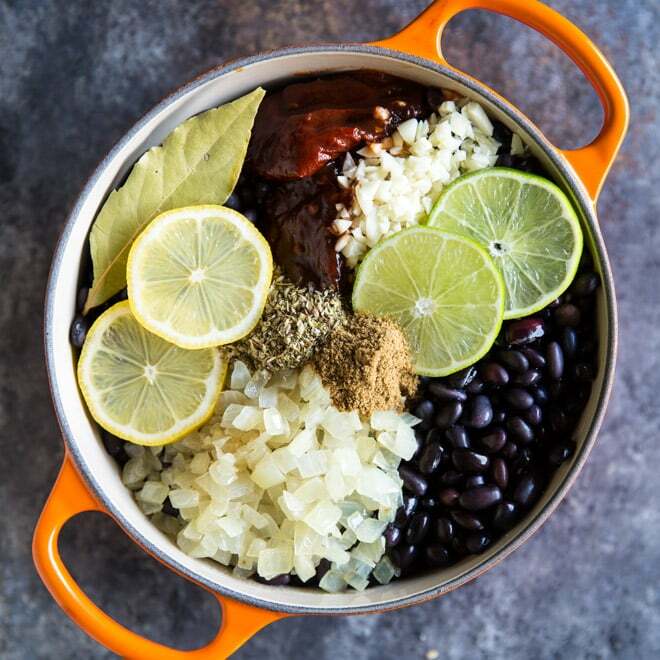 Add garlic, spices, chipotles in adobo for heat, and your beans. Add enough water to cover the beans, and then let them simmer. A couple of hours later, you’ll have a giant pot of tender, hearty beans that taste just like Chipotle’s. 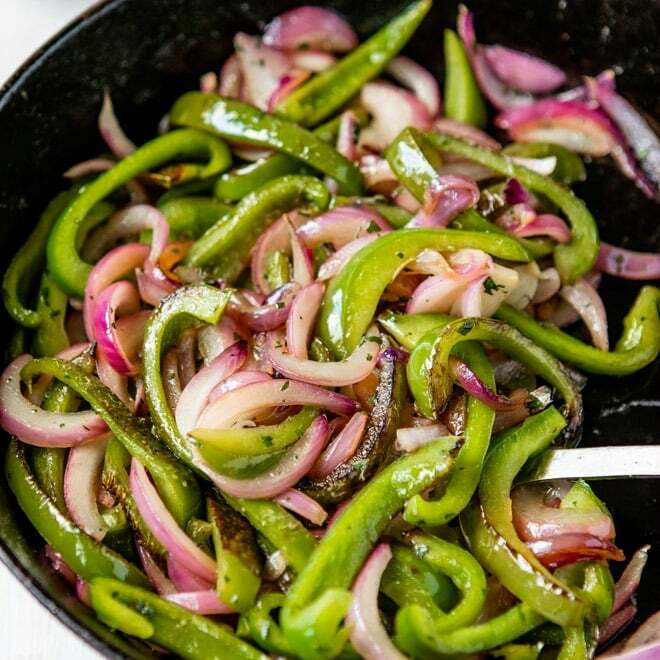 Along with the bay leaf, you’ll probably want to remove the chipotle chilis. Leave them in for a BIG spicy kick (at your own risk!). 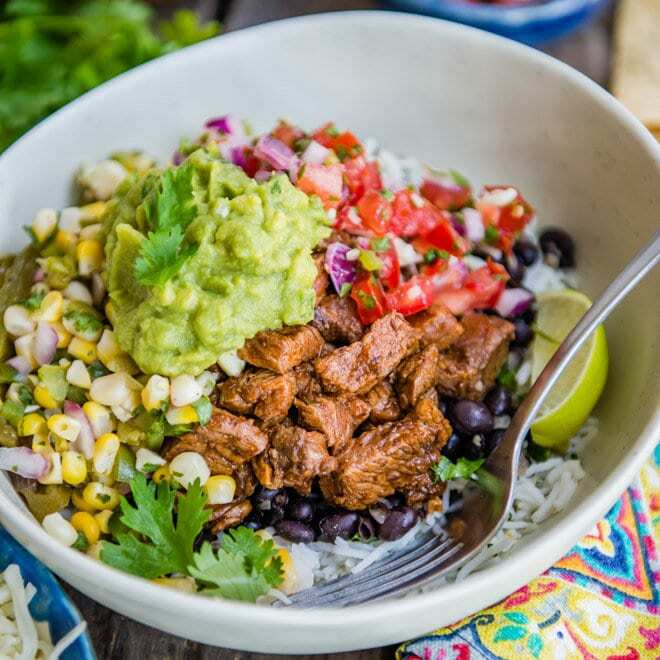 Are Chipotle Pinto Beans Vegan? Yes, they are. Just have a look at the ingredient statement and see for yourself. 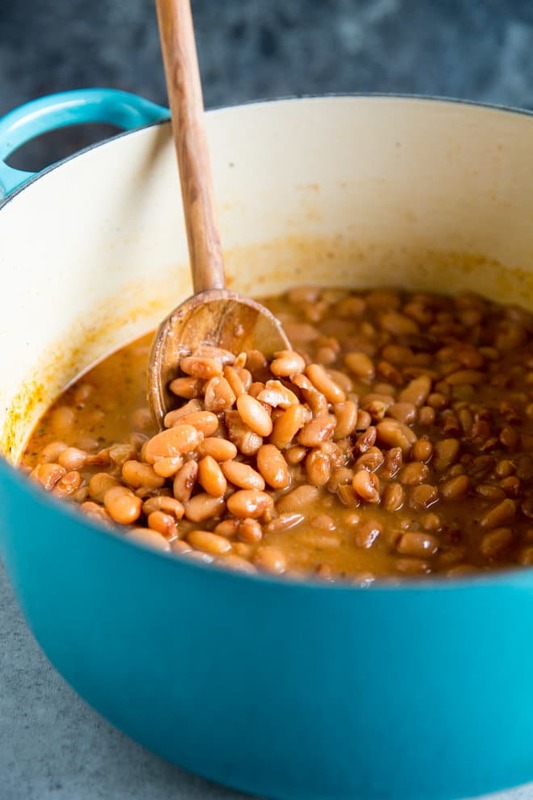 Save these Chipotle Pinto Beans to your “Side Dishes” Pinterest board! In a large pot or dutch oven over medium high heat, heat the oil until shimmering. Add onion and cook until softened, about 5 minutes. To the pot add beans, cumin, oregano, garlic, bay leaf, chipotle chilies, and adobo sauce. Add enough water to cover. Bring to a boil over medium high heat. Reduce heat and simmer until beans are tender, about 2 hours. Remove from heat. Remove bay leaf and chipotle chilies. Stir in lemon and lime juices, and season to taste with salt and pepper. 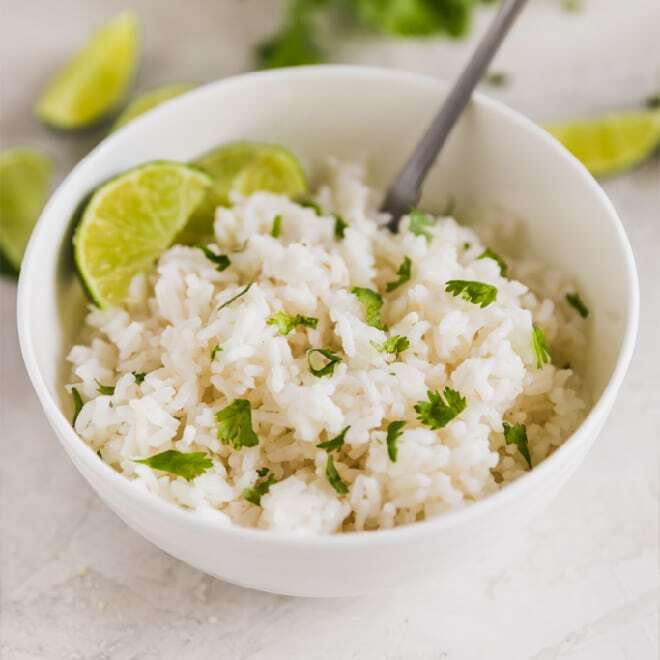 Chipotle uses rice bran oil, but any neutral oil will work. 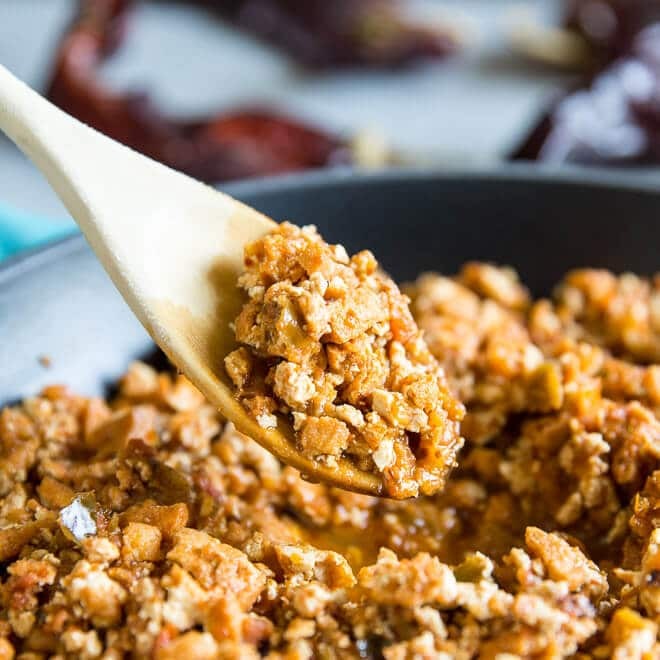 To strain the adobo sauce from the chiles, add the content of the can into a strainer set over a small bowl, pressing down on the peppers to extract as much liquid as possible (you should have at least ¼ cup). Reserve remaining chipotle chilies and sauce for another use. I always soak my beans and peas in water and baking soda to degas them. It’s a must in our house! Hello, i did not see when to add the beans? Did i read that wrong? You read it right! There are no beans in my bean recipe! Fixing the typo now, so sorry about that. :) But what a nice pot of spices and adobo sauce…. LOL. The beans go in in Step 2. Thanks Sarah, sorry about that. Can I use a can of beans instead? Hi Trinity, yes! You definitely can. You could simmer everything together for 20 or 30 minutes and be all done. 1 pound of dried beans (what this recipe calls for) is the equivalent of 4 cans of beans. So, if you just want to do a single can of beans, you should divide the rest of the ingredients by 4 (if that makes sense). 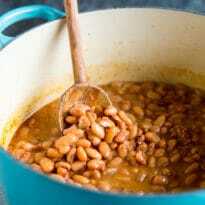 Or use 2 cans of beans and then just halve the recipe (easier math). You can also feel free to just wing it! If you have any questions or need anything else, just let me know! Thanks for the question. Never knew not to soak beans overnight!…always tossed the water too. 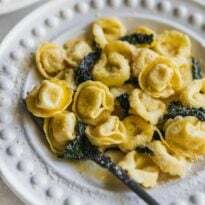 Did i mention that this recipe is delicious!? And you were smarter for it. Tossing the water tosses the disolved sugars that make beans so magical. Do you cover the beans during 2 hour simmer? Covering will help reduce evaporative losses but it isn’t strictly required. As for rice, most “boiling” rice reciped are really steamed rice which REQUIRES covering. 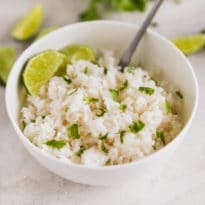 True boiled rice doesn’t and you drain the water from it when you’re done. 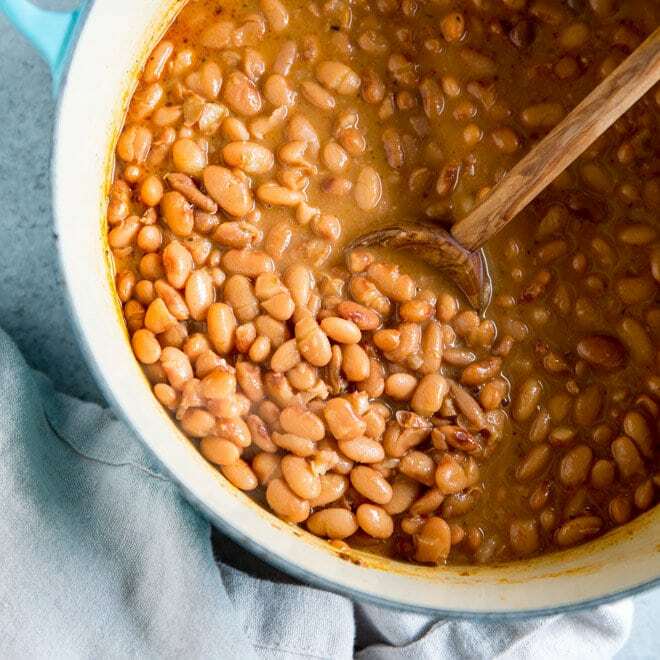 If you use can beans, should you drain the liquid or keep it? I have the same question about draining the liquid. Thanks!